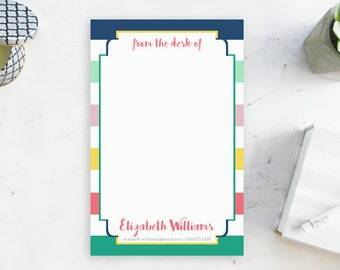 Announcement Personalized stationery, invitations, notepads and gifts, inspired by a deep love for color and fun patterns, all created to help women effortlessly share life, celebrate and encourage others, and love people well. 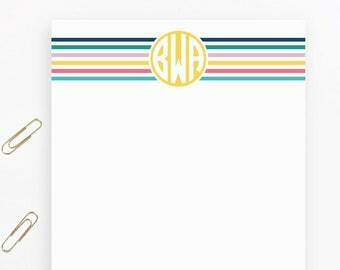 Coming soon - book plates and gift tags! I'm a Georgia girl living in the sunshine state with my husband and our three boys. I have a heart for encouraging other women, loving on them and seeing them succeed. 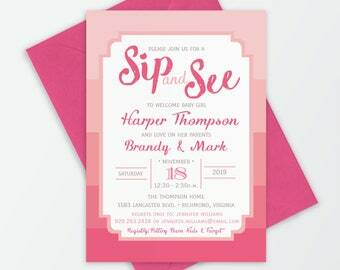 My purpose behind this brand is to be able to serve fellow women who are looking to spread joy, whether it be a bridal shower invitation for their lifelong best friend’s daughter, or a personalized “from the mom of” notepad that helps ease her morning stress level, or a thoughtful set of custom stationery to gift to a sweet friend at church. 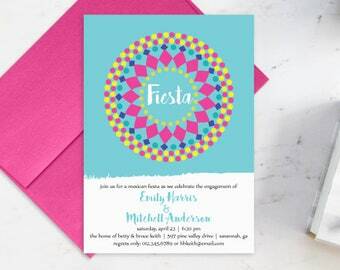 Simply put, designing colorful and pretty items that help another woman love on others fulfills me! 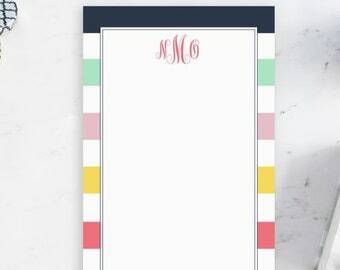 Personalized stationery, invitations, notepads and gifts, inspired by a deep love for color and fun patterns, all created to help women effortlessly share life, celebrate and encourage others, and love people well. 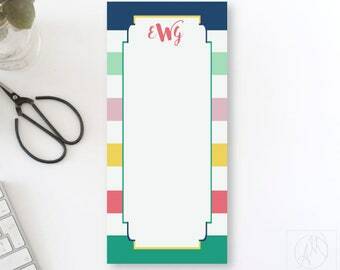 Coming soon - book plates and gift tags! Congratulations to all the guys and gals who got engaged over the weekend!! Just a peek behind the scenes of what it looks like when styling and photoing products. So much fun. Hey, friends! 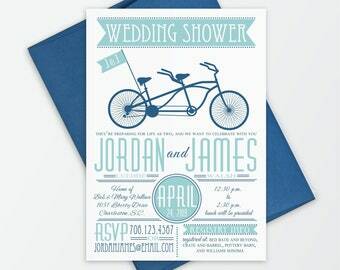 Welcome to Amber Mangle Designs, more than just another pretty paper shop. In addition to being the owner, designer and name behind AMD, I'm wife to my college sweetheart, mom to our three boys, a truth seeker & encourager who loves laughter, puns, reading all the books, kitchen dance parties, patterns, and all the colors especially yellow. I'm a Georgia girl living in the sunshine state where God moved us to in 2017. My love for design, combining colors and patterns, and serving others is the result of growing up in my family's furniture and home gifts store in Atlanta. As a little girl I loved flipping through the upholstery fabric sample books, and envisioning “new clothes” for furniture pieces. As I got older I learned about different styles, how to combine them and create a balanced design. The leap to paper design and the birth of what is now Amber Mangle Designs came quite sometime later. 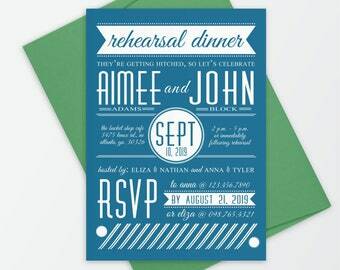 I was well established in the communications and graphic design world by this time, when a dear friend asked me to create a baby shower invitation for a mutual friend of ours. From there more opportunities to design for others presented themselves and I was completely smitten with the idea of being able to do what I love - helping others! Helping them through design was just icing on the cake. What is now Amber Mangle Designs launched in 2009 and continues on today with the same mission of providing personalized stationery, invitations, notepads and gifts inspired by a deep love of color and fun patterns, all created to help women effortlessly share life, encourage + celebrate others, and love people well. It is an absolute joy to serve women and provide them beautiful high-quality tools to connect and create moments they will treasure for a lifetime. 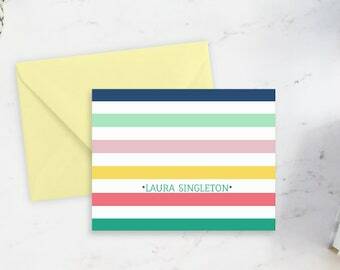 Whether it's invitations to milestone events, thank you notes penned with sincere gratitude, or note cards filled with words of love and encouragement - there's a reason these are timeless forms of communication. 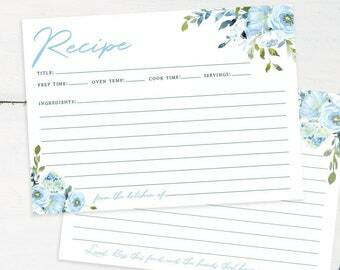 These are the tools we use to invite friends, family and loved ones to celebrate life's moments with us, and the means we use to go the extra mile above a text message to send heartfelt words via snail mail. 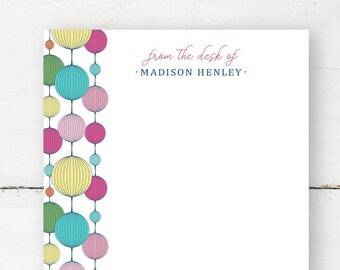 Simply put, designing colorful and pretty items that help another woman fulfills me! Wife to my college sweetheart, mom to our three boys, truth seeker & encourager. I love laughter, puns, reading all the books, kitchen dance parties, patterns, & yellow. I'm a Georgia girl living in the sunshine state where God moved us to in 2017. 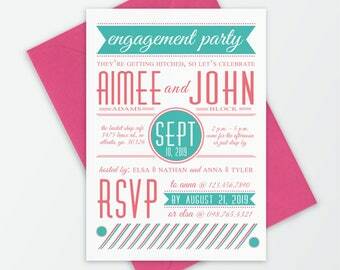 Professional printer located in the USA who provides top notch quality and unrivaled end products of my designs. Provides top of the line, impecable finished product of my custom designs. 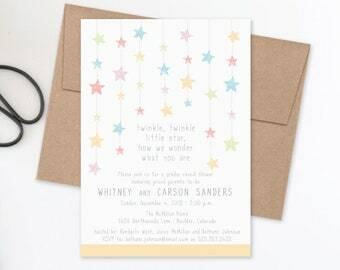 Welcome to Amber Mangle Designs, home to classic and stylish invitations, colorful stationery, fun notepads, and meaningful gifts to help women effortlessly celebrate others, share life, and love on people well. Due to the custom nature of the work, there are not any refunds, except in the event of damaged items. If your items arrive damaged in any way, please contact me immediately with a picture of the damaged item, and do not throw away any of the packaging label. Customization, design work and/or printing will not begin until payment is made in full and has cleared. Payment through credit/debit card, PayPal and Etsy gift cards are all accepted. **If you choose to pay by echeck through PayPal, design work and/or printing will not begin until payment has cleared (generally 3-5 business days after payment). If you need or prefer insurance, next day delivery or anything outside of the shipping provided, the additional fee can be added to your order. Please just let me know, prior to placing your order. All orders will receive a confirmation and tracking number upon shipment of goods. - You will receive a digital proof via Etsy convo in the turn around time stated on the listing you purchased. - Three days following your proof being sent, if I have not heard back from you, a follow up message will be sent (because I know life gets crazy). - No response for three additional days following the reminder message will be considered as your approval of the proof. The morning of the fourth day the order will be closed out and completed. Final files for digital orders will be sent to you via Etsy convo, and print orders will be submitted to the printer; no changes will be made after this time. 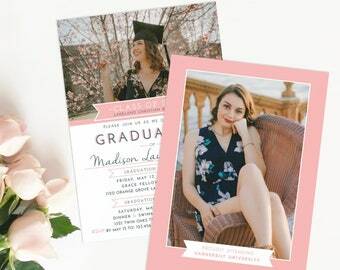 At this point, the customer is responsible for any errors to his/her order and requests for edits or reprints will be available for an additional fee. No refunds will be granted. PLEASE NOTE: Unless a customer requests otherwise, printed items will have a small, Amber Mangle Designs logo on the back of any printed items. All graphics, images and designs are © Amber Mangle Designs and intended for PERSONAL USE ONLY. Commercial use or reproduction with the intent of profit is just not acceptable or cool! Be cool! Can I see a proof/mock up of this item? Digital proofs are included with all personalized items in my shop. 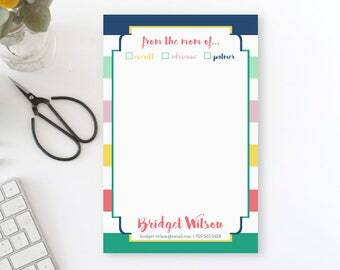 You will receive your initial digital proof via Etsy convo within 2 business days of placing your order AND providing all details for your item. 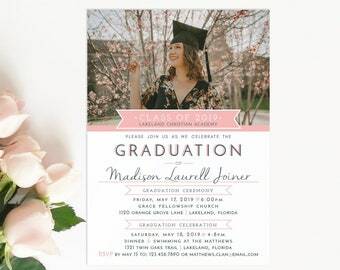 Physical printed proofs with your specific information are available at an additional cost starting at $25 for most invitations and announcements. 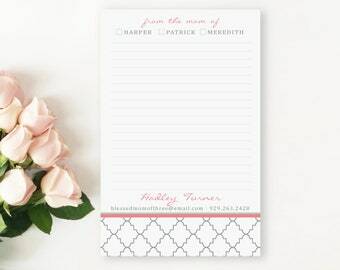 Physical printed proofs are NOT available for notepads, journals or stationery. What's the difference between the Signature, Premium, and Luxe paper options? 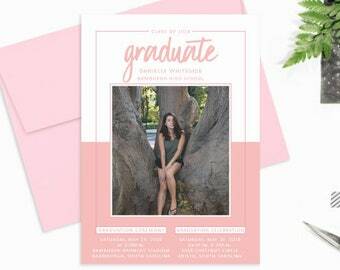 - Originally the only paper I offered, this 110# bright white card stock has a smooth, matte (no gloss) finish that allows the richness and beauty of the colors on any design to stand out. 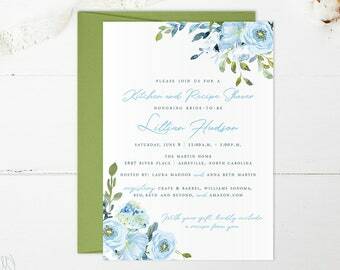 From stationery to invitations, this paper never disappoints! 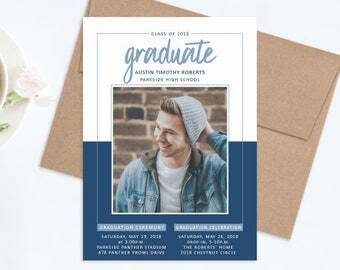 - The subtle eggshell-like texture of this lusciously thick 120# true white card stock with matte finish enhances any design. 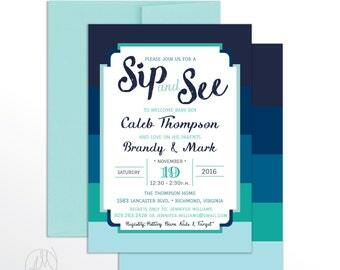 It really ups the wow factor and is a crowd favorite. 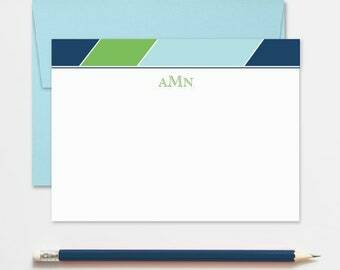 - Because sometimes everything needs a chance to shine, this luxurious white 105# card stock has a pearlescent sheen that shimmers. This paper is a show stopper for any design, but I especially recommend it for any of the faux glitter/foil designs. Rush services for proofs, printing and shipping are available in the Upgrades and Add Ons section of the shop. How many rounds of edits are included? 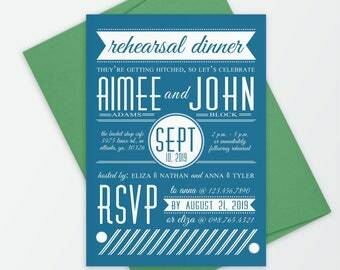 Personalized orders all include two rounds of text edits following your initial digital proof. If additional edits are still needed after the third digital file is sent, you can purchase another round edits (two) for $10. Packages will include an Amber Mangle Designs sticker on the outside of the packaging. Expedited shipping options are offered in the Upgrades and Add-Ons section of my shop. Have an idea for something you don't see in the shop? Let me create it for you. Below are the starting design fees. 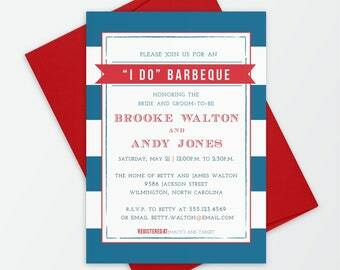 Professional printing cost is in addition to this. Custom designs allow for up to three edits. After that time, additional rounds of edits are $10. A custom design usually requires about two weeks from the time all information is received.